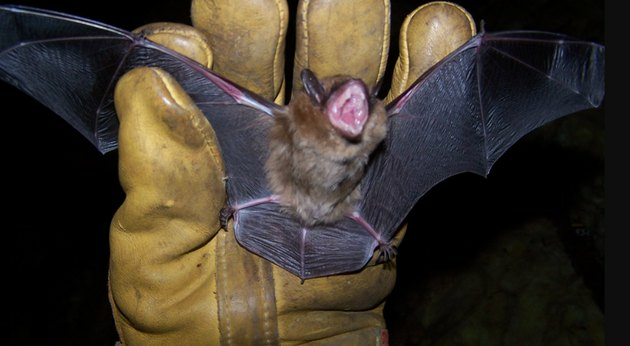 Getting rid of bats requires is possible with the help of an expert. Bats are dark and furry, and they fly in seemingly erratic patterns in the gathering dusk, so they give many people the heebie-jeebies. These feelings of aversion are mostly misplaced, but there are still good reasons why you don't want bats flying around your living room or using your attic for shelter. Besides fueling the nightmares of the squeamish, bats can carry disease, especially rabies, and they can soil your house with their guano, which also carries disease. Unfortunately, you can't control bats in the same way you do other pests, such as rats. Bats won't fly into any trap you set, and they won't take bait since they feed on flying insects, nectar and live fruit. Bats don't want to be in your living room any more than you want them to be there, so if one happens to lose its way, eventually it will probably leave by itself. But bats that are nesting in the attic, walls or chimney are another matter. They do want to be there, and the best way to get rid of bats is to actively exclude them. You can then use bat repellents to keep them away. Why Should I Get Rid of Bats in my House? Some bats are not much larger than your finger. It's true that some species of bats live on blood, but these so-called vampire bat species live in the tropics. Bats in North America live on insects for the most part, including beetles, moths and mosquitoes. One brown bat can consume as many as 500 mosquito-sized insects in an hour, which should make that bat a welcome visitor to any garden party. The main problem with bats is that they carry disease. In fact, they carry more diseases than any other animal, probably because of their propensity for sleeping close together. You may be wondering what diseases do bats carry? 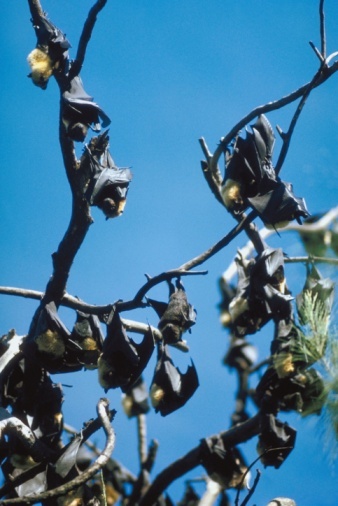 Rabies, nipah, hendra, ebola and m__arburg are just some of the nasty viruses that bats can spread, and bacteria such as leptospirosis, salmonella and histoplasmosis may be found in their guano. Guano makes a great fertilizer, but it isn't something you want collecting in your attic or behind your walls. Leather gloves are a must when attempting to catch a bat. Bats have an incredibly accurate guidance system, but even so, one may go off course and end up in your house. If that happens, the best way to get a bat out of the house is to open the door or window, turn off the lights and wait for it to fly out. It might, however, become confused enough to land on your curtains or furniture. When it does, you can catch the bat using a 1-quart plastic container. Gently place it over the animal, then slip a piece of cardboard over the opening and take the bat outside. Release it near a tree by tipping the can gently to encourage the bat to jump onto the tree trunk. 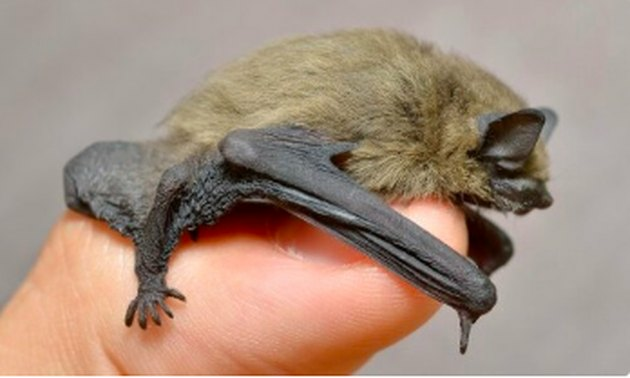 When it comes to bat removal, thick cotton or leather gloves are a must to avoid being bitten—a serious matter because of the potential for disease. If you do get bitten, the Center for Disease Control advises saving the animal so it can be tested for rabies. Rabid bats frequently lose the ability to fly, so if the bat in your living room is crawling on the ground—unusual behavior for a bat—do not approach it. Call an animal control expert to remove it and evaluate it for disease. Exclusion devices allow bats to leave but won't allow them to get back in. If you find a bat flying around in your living room, there's a good chance you have a whole colony living in the attic or chimney. 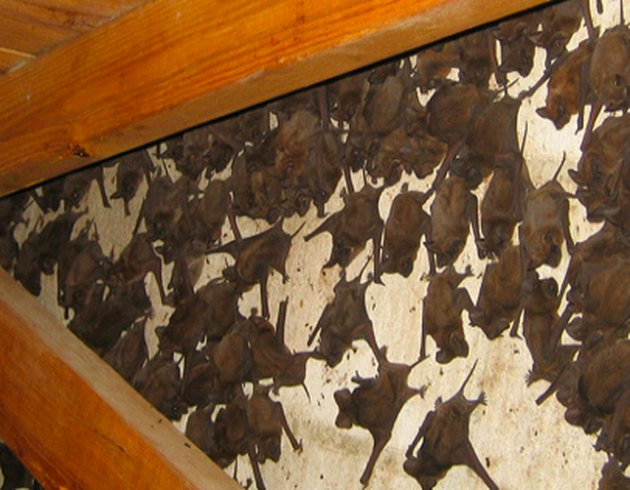 The technique that most bat control experts use to get rid of such a colony is called live exclusion. The bats have to leave at night to eat, and installing a one-way exclusion device will prevent them from coming back in. The type of device will depend on the architecture of the space and on the type of bats, so it's best to follow the advice of an animal control expert. However, in a pinch, you can usually construct a suitable cone-shaped "check valve" yourself, using wire mesh. Fill openings with a funnel-shaped cone made of wire mesh, which will allow the bats to exit but make it difficult for them to find their way back indoors. 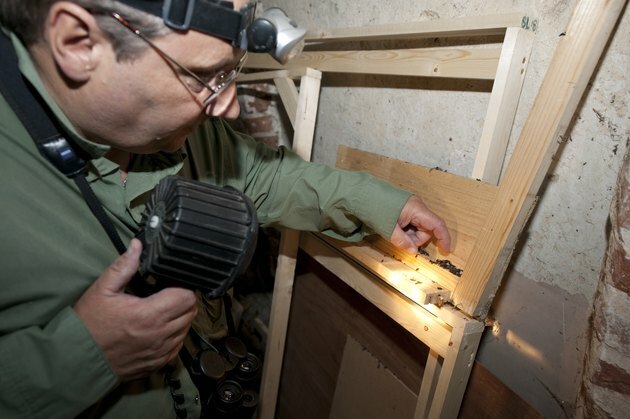 Before excluding bats, it's important to inspect the house for any bat-sized openings through which the flying marauders can enter, and seal these openings securely. Bats can squeeze through small openings the size of your thumbnail, so even seemingly innocuous cracks and holes should be filled with caulk or wood putty. You might also consider purchasing or constructing a bat house and placing it nearby to give the bats another place to go. This will help encourage them to leave your house. You can conduct a live exclusion any time of year except during the summer because this is when young bats are present. Because they are unable to fly, young bats will be trapped inside your home and die after the adults leave. Besides being inhumane, this fills your attic or walls with dead, rotting bat carcasses. Wait for the cooler days of autumn, when all the bats have reached maturity and can survive on their own. How Do Bats Get in the House?